Surprise the lucky recepient with a soft and delicate bunch of flowers. 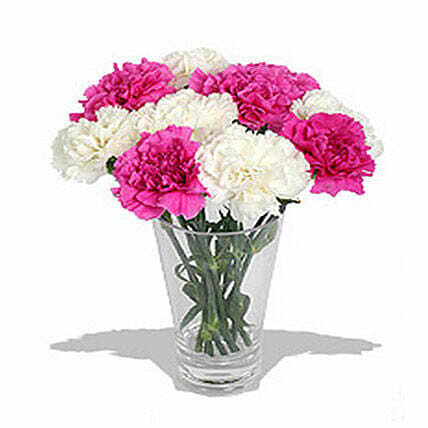 This sophisticated, passionate arrangement of 10 beautiful pink and white carnations in a vase, is surely a visual delight. Note: The flowers may slightly differ based on the availability.